It’s safe to say that World Championships ended on a sour note for USA Wheelchair Rugby. While we were able to salvage a bronze medal, our goal was gold, and to fall short again was crushing. Thus, getting the chance to play world #1 Australia just two months after Worlds ended was a good way for us to end the 2013-14 USA Wheelchair Rugby season. Let’s call it the first step on the Road to Rio. We approached each game as a chance to get better. Since they were not officially sanctioned games, world ranking was not at stake, but any chance to get on the court is an opportunity for us to improve as a team. From our experienced veterans like Chance Sumner and Jason Regier, to our newer players Lee Fredette and CJ Brown, everyone played well and improved as the week went on. We finished the week 5-0, which helped to take a little bit of the bad taste out of our mouths from Worlds. We’ve got two years to go until we can truly feel redemption, however. I would like to thank all of our supporters over the last season as well. USA Rugby, Lakeshore Foundation, and U.S. Paralympics have been invaluable as partners of USAWR, and we look forward to the future working with them as well. The 2016 Paralympics in Rio de Janeiro are just two short years away. 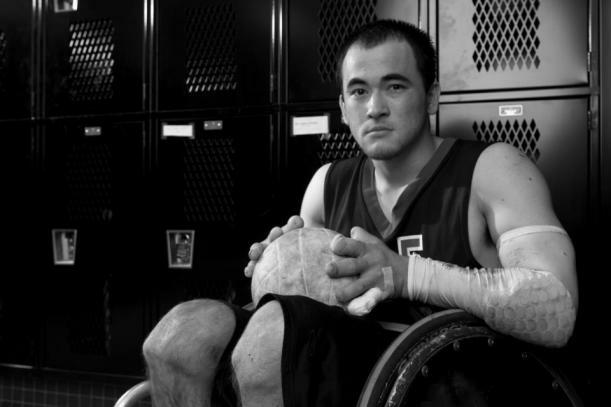 Rio has been called a potential watershed for Paralympics in the United States, and with all of your support, it can be a ground breaking time for USA Wheelchair Rugby as well! So going forward, tell your friend and family, visit usawr.org, share your support on Facebook and Twitter, and help us grow the most exciting Paralympic support in the world right here at home in the U.S. Thank you all for your support!